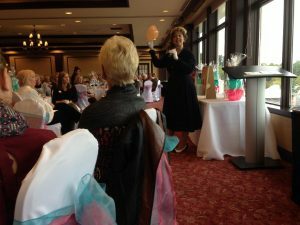 Geneva Lake Women’s Association has been raising funds, raising hopes, and raising spirits for nearly 55 years in Walworth County. We invite you to join us at our New Member Drive on Tuesday, October 23, from 6:00 to 8:00 p.m. at Geneva Lake Brewing Company. The women involved in our organization come from all backgrounds and all walks of life. Together we help charities in the area through fundraising, volunteering, and supporting the important work that they do. And we have a great time doing it, too. You may have seen us at events like Venetian Days and Victorian Christmas. We also host our own events, including Ladies Day Luncheon, Safety Town, and the Children’s Art Show. If you’ve been wondering what we’re all about now is your chance to find out.